There is good food, and then then there is really good food. I can’t remember the last time I gushed this much over a meal. It was completely unexpected and a gem of a find really. 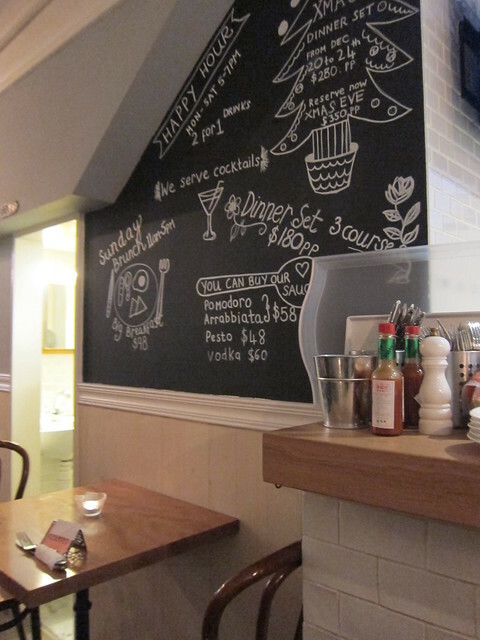 Upon some research, I discovered that Old Bazaar Kitchen has a long history with a prior location in Tin Hau that shuttered its door in 2012, only to re-emerged in Wanchai. 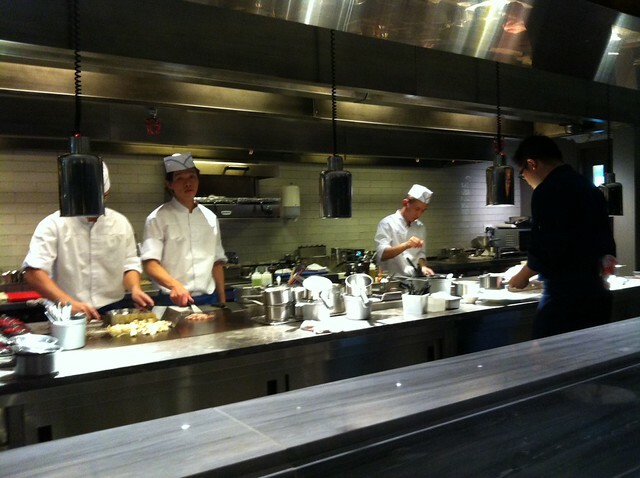 The waitstaff was unfailingly polite and extreme helpful, and the boss, Angel Cheung was quick to help us with the menu. Since there were only two of us, we decided to go for three dishes. And lucky we did, for the portion is nothing short of enormous. 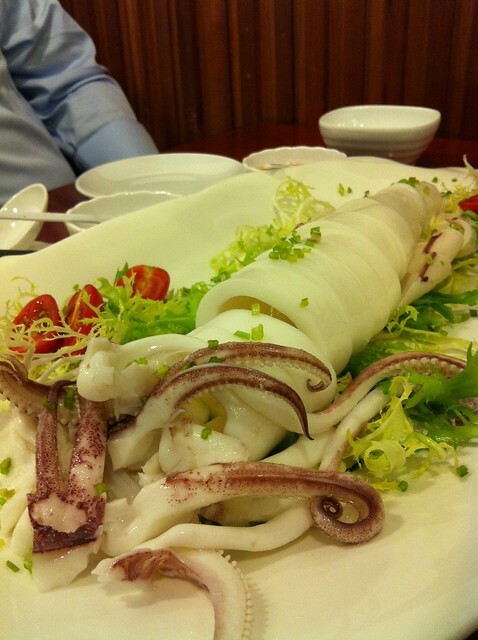 Cold squid – I greeted this dish with an unmanly gasp. The squid was easily the length of my arm! Skillfully cut and plated, this simple squid was fresh, crunchy and succulent. I though I had good squid but this blew everything else before out of the water. Served with a choice of either wasabi or chilli sauce, I reckon this gorgeous baby serves at least four.